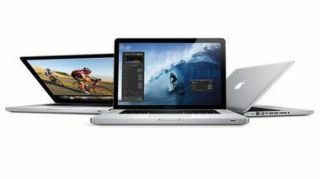 Could the Retina Display MacBook Pro be nothing more than a pipe dream? Rumors abound about what Apple plans to do with the next MacBook Pro, expected to be introduced this summer: Retina Display. No more SuperDrive. USB 3.0. Slim and light like the MacBook Air. But what if Cupertino is planning something decidedly more modest instead? A Chinese website leaked a photo of what appears to be the spec sheet label for the next 13-inch MacBook Pro, but it may not be quite as revolutionary as fans are anticipating. While the spec sheet does appear to confirm an "Ivy Bridge" dual-core i5 processor clocked at 2.5GHz with accompanying Intel HD Graphics 4000 GPU, the screen resolution looks like the same as the current version: 1280x800 pixels. Of course, the entire spec sheet could be fake - after all, it lists an 8x slot-loading SuperDrive, which is widely rumored to be headed toward extinction, much in the same way Apple killed the floppy drive with the original iMac. Curiously, the spec sheet also lists "two USB 3.0 ports," which does line up with the rumor mill. At this point, only Apple knows for sure - but we have the feeling all will become clear by this time next week, given that the WWDC 2012 keynote is going down in San Francisco next Monday.